Ready to begin your degree The State Way? To make the admission process as simple as possible, we’ve got step-by-step guides for every kind of applicant. Moving your life forward starts here. You’re here for more than a degree. This is the time to explore your interests, build lasting relationships and take huge steps toward your future. The State Way will take you into classrooms where innovative professors are swapping traditional lectures for practical experiences in the field. And it’ll connect you to vital internships and first jobs in schools, hospitals, sports medicine clinics and community agencies across metro Atlanta (think Children’s Healthcare of Atlanta, the College Football Hall of Fame and the Atlanta Children’s Shelter). 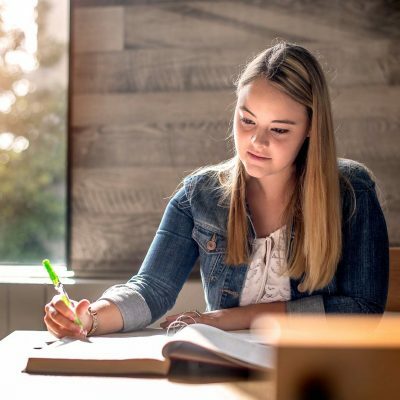 Whether you’re coming straight out of high school, already enrolled at another university or going back to college, we’ll walk you through the process of becoming a College of Education & Human Development student. High school students, transfer students or others not enrolled at Georgia State who wish to pursue an undergraduate education degree. Perimeter College students who wish to transition to an undergraduate major in education. Atlanta Campus students pursuing a bachelor’s degree who wish to choose an education program as their major. Students and others who wish to enroll in a graduate program in the college. Not yet a Georgia State Student? High school students: If you’re a senior in high school or if you graduated from high school within the last two years, you’ll apply to begin your bachelor’s degree program using Georgia State’s Common Application. Find out more about applying here. International students: International applicants are those students who are in the U.S. on a non-immigrant visa (B-1, H-1, J-1, etc. ); students who are living outside the U.S. and who will require an F-1 visa to study in the United States; students who are in the process of applying for Permanent Residency status, but have not yet received the Permanent Residency card; or students who have been educated outside of the U.S. Learn more about the application process here. 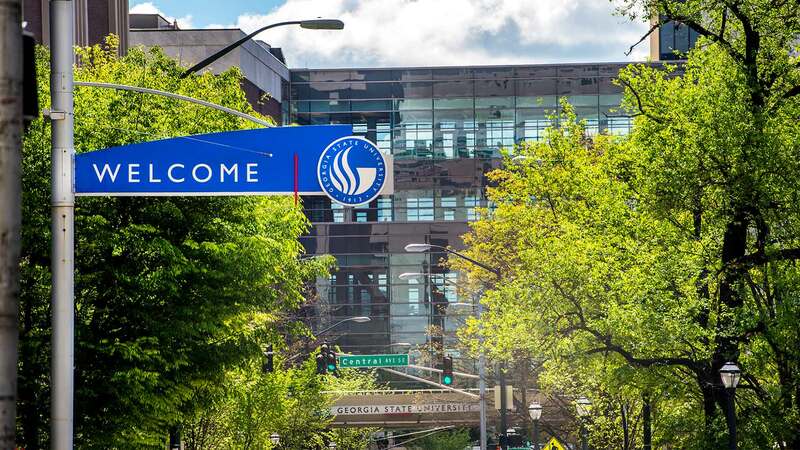 Transfer students: If you’re already in college but need a change, transferring to Georgia State can provide you with the opportunities you need to succeed — in school and after graduation. Get all the details here. If you’re enrolled in an associate degree pathway at Georgia State’s Perimeter College, we make it easy for you to move on to your Education & Human Development bachelor’s degree. 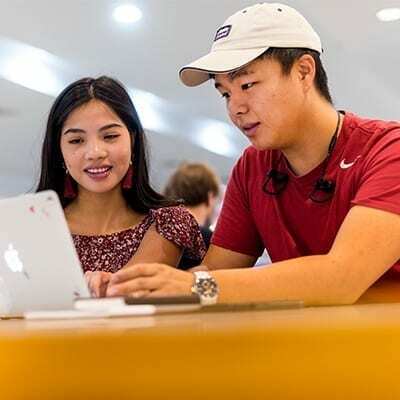 Once you complete 30 or more credit hours with at least a 2.0 grade point average at Perimeter College, you can seamlessly transition to the Atlanta Campus for access to our selection of bachelor’s degree programs. To be eligible, you’ll need to submit a Transition Application. 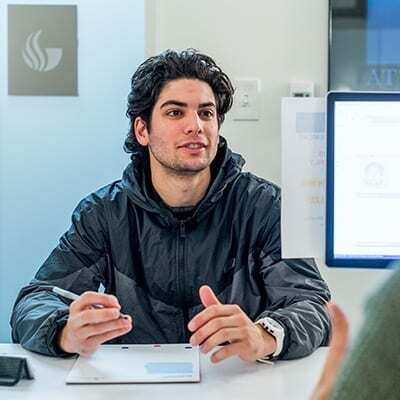 To be eligible, you’ll need to submit a Transition Application and an application to your major here as you are completing the major admission requirements. As an undergraduate pursuing a bachelor’s degree, you enter our college in an “exploratory” major. This means you are taking classes to prepare to apply to your major. Once you near completion of Areas A-F and other program admission requirements, you can submit an application to your major here. Already have your undergraduate degree? Are you looking for the right graduate program to advance your career or switch career paths? Then explore our college’s education and human development graduate programs. We’ve got your step-by-step guides for application deadlines and requirements. 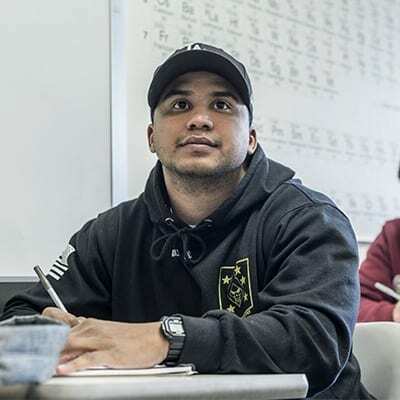 The college provides non-degree opportunities for those who wish to obtain a certificate, add an area of endorsement to a certificate, obtain initial certification in certain subject areas, or take courses for enrichment. Students who are in need of renewing their teaching certificate or are seeking courses for enrichment, are encouraged to apply to a graduate non-degree program. You can apply as a non-degree student and register for a maximum of nine semester hours. If you wish to pursue a program further, you’ll need to apply for admission according to the requirements of the degree desired. Endorsements offered by the college are approved by the Georgia Professional Standards Commission. Endorsements are designed for P-12 educators and can be received in specific areas to recognize additional expertise or to strengthen competency levels. Undergraduate and graduate certificates are prescribed programs of study at the post-secondary educational level and are recognized by the University System of Georgia. Certificate programs focus on specialized coursework for preparing individuals in a variety of areas ranging from teaching to technology. Certification only is for applicants seeking initial teacher certification at the graduate level. If you need a form, such as the Tort Liability Form, we have you covered. Our Office of Academic Assistance can help you with advisement.